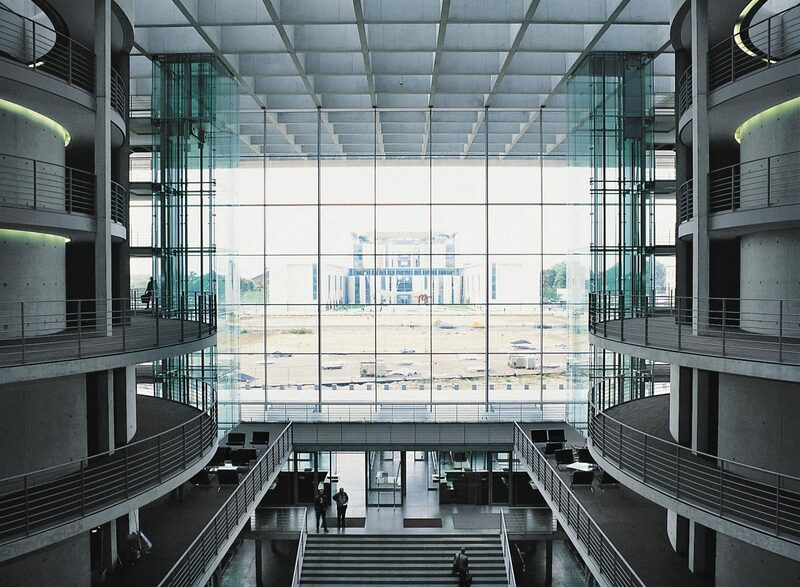 The Paul-Löbe-Haus, also known as the “Alsenblock”, is designed as a large and transparent eight-story new building with five stunning side chambers and eight characteristic glass cylinders, intended to give the impression of a powerful “engine of the Republic”. The transparency of the building starts right at the main entrance, which is on the west side. 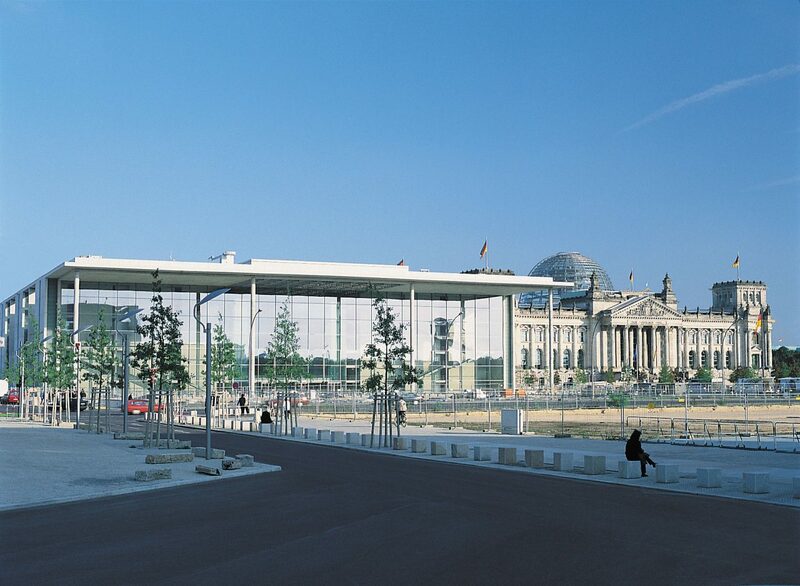 This huge area is glazed and reflects the Federal Chancellery opposite. The entrance facade is formed as a highly filigree steel structure. 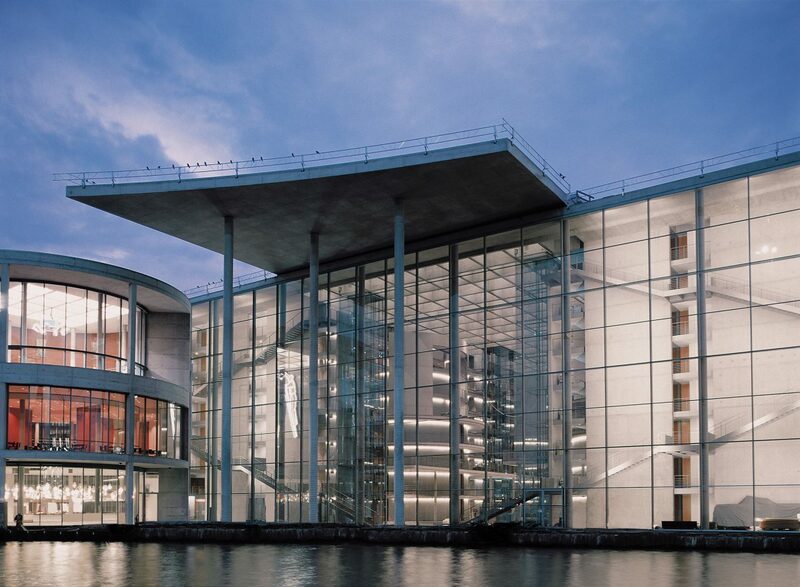 To achieve the small dimensions of the profiles, the facade was fully suspended from the ceiling of the shell. The resulting filigree profile dimensions are formed using rectangular hollow profiles. They are executed in a specially manufactured design, as box profiles with milled surfaces and very sharply defined profile edges. Vierendeel trusses were used in places due to the wide spans. 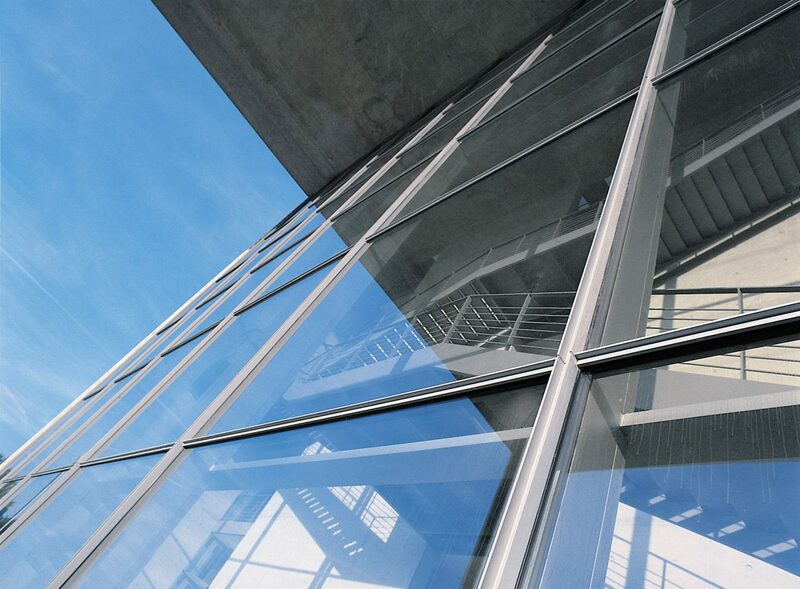 The hollow profiles of the supporting facade structure are constructed as a hydraulically balanced hot water circuit. 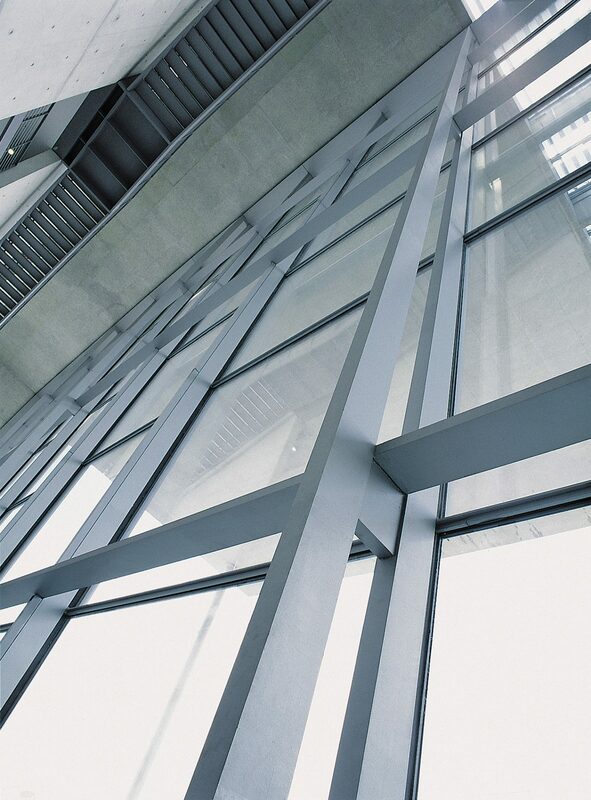 A significant part of the building’s heating is realized using this facade heating system.